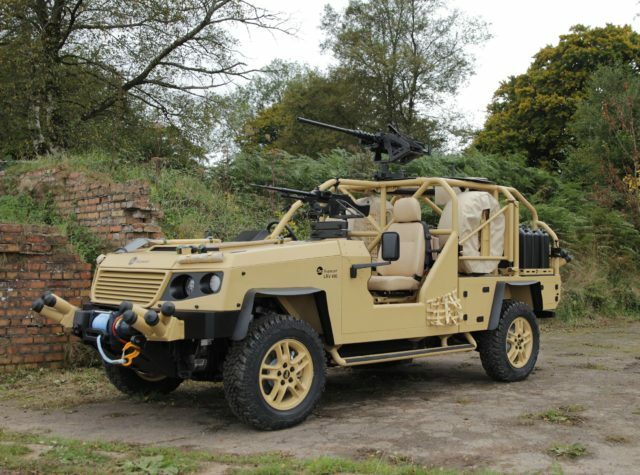 Supacat will be exhibiting their Light Reconnaissance Vehicle 400 (LRV 400) at the event. The LRV 400 provides a highly versatile tactical capability for special forces; it can be transported centrally inside a CH-47 Chinook fully equipped and loaded, making it immediately and rapidly deployable. Also, it has the unique feature of being convertible from 4×4 to 6×6 to provide a flexible alternative configuration that increases payload, capacity and range to meet different operational requirements. Supacat intends to offer the LRV into a number of vehicle procurement programmes in the region and the NIDV show is seen as an ideal platform to showcase the capabilities on offer. Supacat has teamed with Rheinmetall MAN Military Vehicles Nederland B.V. to offer the LRV 400 into upcoming procurement programmes in the Netherlands. If an order is received, then RMMV will assemble Supacat vehicles in-country. With over 1000 specialist, battle-proven vehicles in service across the globe, Supacat designed the LRV400 to fill the gap in the market for an agile off-road vehicle sized between its HMT 400 Series (GVW 7600kg) and quad bikes. It carries a crew of 3 or 4 supported by an operational payload of 1700kg with a GVW under 5000kg. It can achieve high speeds on or off road and can operate up to 800km from the point of insertion, offering special forces a true long-range capability. Phil Applegarth, Head of Supacat said “we have been very successful in winning a number of major export orders for our special forces vehicles in recent years and we would like to capitalise on that success by offering our products more widely”. He added “there are a number of European procurement programmes emerging for vehicles in our capability space and we feel sure our battle-proven products will be highly attractive to the users. Supacat vehicles have already been sought out and purchased by some of the world’s finest units and we would like to add more nation’s armed forces to that list”.